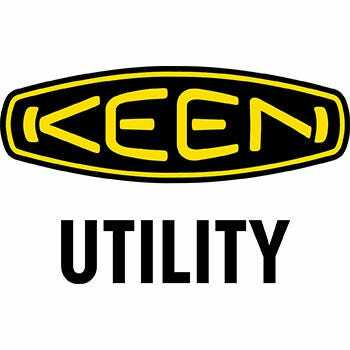 The footwear wizards at KEEN have outdone themselves this time, building utility boots with an extensive array of features and components to provide durability, comfort, and style not found in just any design. We know we can’t really make you walk on air, but you ... (see full details) (see specifications) #1017828. The footwear wizards at KEEN have outdone themselves this time, building utility boots with an extensive array of features and components to provide durability, comfort, and style not found in just any design. We know we can’t really make you walk on air, but your feet will definitely feel the magic when you treat them to a pair of KEEN Men’s Logandale 1017828 Waterproof Steel Toe Work Boots. From the ground up, these versatile medium-duty men's boots will take just about anything. The outsole is manufactured in oil- and slip-resistant non-marking rubber. You’ll feel the cushion, and these KEEN Logandale boots offer slip resistance that will help keep you secure and stable when the job site surface is slick. They meet ASTM F1677-96 Mark II non-slip testing standards. And for enhanced cushioning and durability, KEEN direct attaches the polyurethane (PU) midsole for enhanced underfoot stability. Constructed of a durable synthetic, the Logandale upper features a KEEN-Dry® waterproof membrane that protects against water and still allows your feet to breathe. KEEN Web-Tec® provides maximum abrasion resistance in key areas. Inside, KEEN boosts the comfort factor with a TPU shank for midfoot support, and a moisture-wicking lining helps keep your feet dry and cool. The internal support mechanism of the waterproof boots features Keen’s own “metatomical” footbed, which provides excellent arch support and cradles the natural contours of the foot, thanks to anatomical engineering. And for odor control, the Logandale features Cleansport NXT™, which uses probiotic technology for natural control. Instead of a plain round safety toe, the steel safety toe in the Logandale work boots is designed asymmetrically to match the shape of both the left and right foot. It makes all the difference in comfort. And because they meet ASTM F2412-11 and F2413-11 M I/75 C/75 EH standards, you can feel sure the Logandale will provide the protection you need in the workplace, even around some open circuits and electrical hazards. The steel toe EH boots feature a pull tab at the back and a combination of eyelets and speed hooks. This dual lacing system holds your foot snugly inside the men's footwear, providing sure-footed stability where it counts. It also makes putting on the Logandale and taking them off quick and easy. Not only does KEEN footwear protect your foot and provide durability, but their designs look good, too, and are available in a raven/black color to minimize dirt and stains. They feature black webbing at the heel, sides, and toe, and are embellished with KEEN’s distinctive yellow trim on the substantial outsole, as well as on the laces and lining. To keep them looking their best, you can remove excess dirt or spot clean with a stiff brush or soft cloth. KEEN recommends that you clean this pair with mild soap and cold water and air dry them away from heat. So if you need comfortable, waterproof work boots with steel safety toes included, and you're tired of trading comfort for durability and protection, work a little magic for your feet and slip them inside a pair of KEEN Logandale 1017828 Waterproof Steel Toe Work Boots. Get them today at Working Person’s Store and don’t spend another minute in anything less. They feel great from the get go, like all keens do. It's great on leak proof till you get water on top, by the tongue. Mine leak pretty good, for being brand new. KEEN Utility Boots: Men's Logandale 1017828 Waterproof Steel Toe Work Boots is being added to your cart.